I picked up some second-hand games from June Hwang the other day. 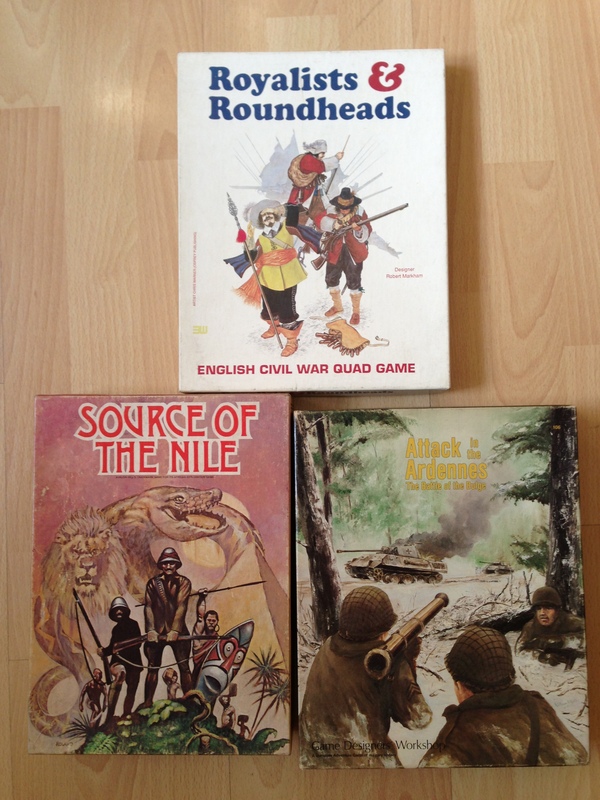 Two games I have played before many years ago and Source of the Nile in particular was one of my all-time favourites. I’m actually looking forward to playing it again in the near future (can’t remember what happened to my copy, I suspect it went missing in a move from somewhere to somewhere else). Now to get some small plastic bags and punch out some counters. Or even as a sort of start line for the Thirty Years War – currently dickering with Doug about a figure swap as he has a big chunk of unpainted 30YW lead.